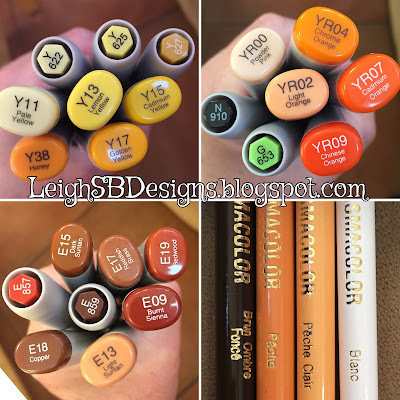 Our September Challenge over at Delicious Doodles is underway and the theme this month is "Orange and Brown". I love reading about Pagan symbolism and long lost meanings of things we still do to this day and being inspired by them! Here's my DT project for the DD challenge, I made an art piece featuring Teri's February Goddess Colouring Page - Imbolc. Imbolc has various meanings and traditions depending on the cultures. I can see where Teri was going with this design when I read about a Pagan holiday with a Celtic connection relating to the Irish goddess Brighid. 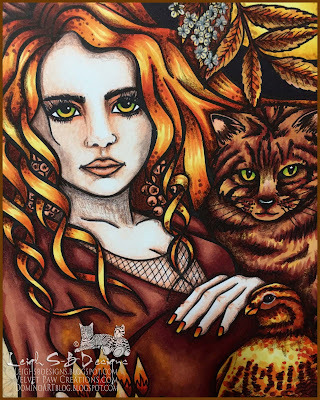 She is the keeper of the sacred flame and the guardian of home and hearth. You honour her with purification and cleaning in preparation for the coming spring...hence our tradition of doing a "Spring Clean" was born. 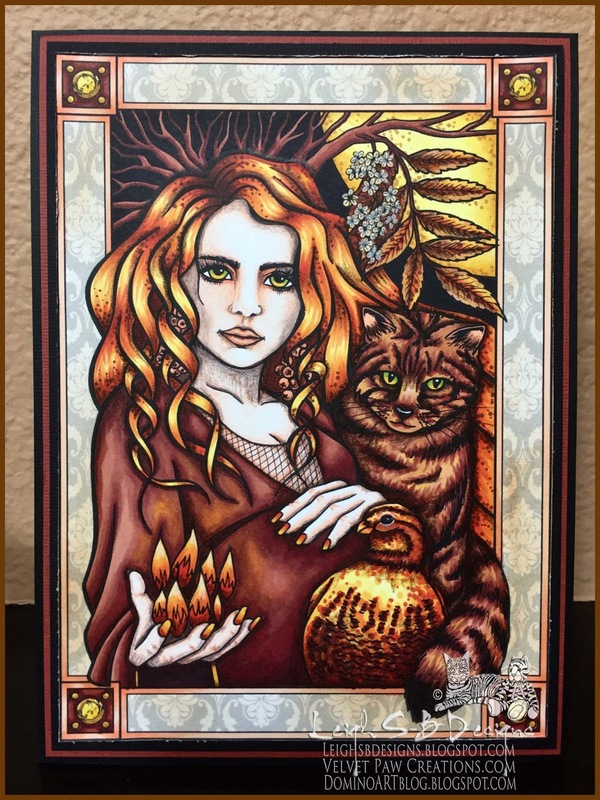 In addition to fire, she is also a goddess connected to inspiration and creativity! I printed this wonderful design out onto Neenah solar white cardstock and went to work with my Copics, Marvy Le Plume alcohol markers and Prismacolor pencils. I distressed the edges with Tim's Paper Distresser tool and applied a touch of Tea Dye Distress Ink to the decorative frame. I mounted the finished piece onto black cardstock, rust brown and then black again. Now it's ready for framing. Thanks for stopping by to see my project today and have a fabulous weekend! Love this image and the colours!